As the Lake Minnetonka tax deadline looms closer and closer, homeowners should be careful not to make any of these costly home-related mistakes. 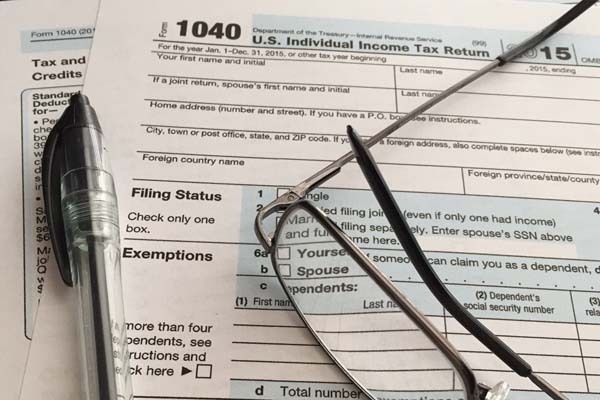 Tax professionals say these mistakes are common among homeowners who either don't know the current tax laws or are careless in their paperwork. Mistake #1: Deducting property taxes for the wrong year Although it can sometimes be confusing, you should deduct the amount of property taxes for the year for which you actually paid them. In other words, if you're billed for your 2015 property taxes in late 2015 but actually pay them in 2016, you may only deduct the amount you paid during the tax year in which you're filing. On your federal tax forms, you should enter the amount you actually paid in that tax year. If your taxes are being escrowed each month and paid by a third party such as your mortgage lender or loan servicer, enter the amount they show they paid during that taxable year. Mistake #2: Confusing actual taxes paid with the amount escrowed If your lender escrows your property tax payments each month, don't simply just deduct the amount being escrowed. The normal amount you pay every month as part of your principal, interest, taxes and insurance (PITI) is actually slightly more or less than the actual property tax amount. Your mortgage lender or loan servicer usually adjusts the escrow amount each year to make sure the amounts match as closely as possible. As an example, let's say your property tax bill is $1,200. Your lender may have collected $1,100 or $1,300 in escrow during the year. You should deduct only $1,200 or whatever the lender-provided Form 1098 shows. That is the actual amount of property taxes that was owed and paid on your behalf. You are entitled only to deduct that amount. Should you not receive the Form 1098, contact your lender or loan servicer as soon as possible to find out how much they paid on your behalf – and get a replacement copy for your records. Mistake #4: The home office tax deduction There's probably no deduction that's more misunderstood than the home office tax deduction. Although it's not all that complicated, and usually doesn't total very much, it must be recaptured if you enjoy a profit when you sell your home. It's also one of the areas on your Lake Minnetonka tax returns that often invites scrutiny from the IRS. However, the good news is that there's a simplified home office deduction option available if you opt not to claim actual costs. If you meet the eligibility requirements, you can deduct $5 per square foot up to 300 square feet of office space in your home for a total of $1,500 a year. Mistake #5: Failure to repay a first-time homebuyer tax credit If you were one of millions of Americans that took advantage of the original one-time homebuyer tax credit in 2008, you are required to repay 1/15th of that credit over 15 years. If the tax credit was used in 2009 or 2010 and you then sold your home or stopped using it as your primary residence. you must also pay back the credit. Need help with it? The IRS has an informative tool that can help you figure out how much you owe. Visit their website at www.irs.gov. Mistake #6: Failure to keep up with home-related expenses Hopefully, if you're deducting home-related expenses, you have sufficient records you can access easily if you need to. Maintain a file or computer desktop scan to store home office and home improvement expenses and receipts in case you are audited or asked questions by your CPA or the IRS. Mistake #7: Not keeping track of capital gains for your Lake Minnetonka tax returns If you sold your primary residence in 2015, remember you'll have to pay capital gains taxes on any profit you enjoyed. Typically, you are able to exclude $250,000 of the profits from taxes (or up to $500,000 if you are married and filing jointly.) If, for example, the cost basis of your home is $100,000 – the amount you paid for it plus any additional improvements – and you sold it for $400,000 the capital gains are $300,000. if you're a single taxpayer, you would owe taxes on $50,000 of gains. Remember, however, there are minimum time limits for holding on to property in order to take advantage of the exclusions. See IRS Publication 523 if you have questions or need additional information. One additional tip: if you're in a higher tax bracket you'll probably have to pay an additional tax. Mistake #8: Filing incorrect energy tax credits Home improvements made in either 2015 or 2016 may be eligible for a 10% tax credit. If you installed an energy-efficient heating and cooling system, for example, you may qualify for the 10% tax credit. You may also be eligible for the Residential Energy Efficient Property Credit if you installed a solar electric, solar water heater, geothermal, or small wind energy system. Claim the deduction by completing Form 5695, which can be confusing. Read the instructions carefully and ask your CPA if you have questions. Mistake #9: Claiming more than you should for mortgage interest U.S. taxpayers are allowed to take a deduction of up to $1 million in mortgage interest for a home purchase. In addition, they can deduct up to $100,000 in home equity debt. You can only deduct the interest on your mortgage that you actually paid during the Lake Minnetonka tax year. That includes amounts that you may have prepaid in an effort to reduce your loan balance faster by paying an additional month's payment. Get more tax tips by visiting our other articles in the "Taxes" section of our site under Lake Minnetonka Real Estate Categories to your right. And don't forget to Find us on Facebook and Follow us on Twitter. We do post occasional tax tips there as well.